Confraternity of the Most Holy Rosary > What is the Rosary? — John Paul II, Apostolic Letter Rosarium Virginis Mariae, n. 1. Rooted in the Sacred Scriptures and in their presentation of the life of Christ, the Holy Rosary is a prayer beloved by Christians throughout the world. Although Marian in character, it is nonetheless a truly Christocentric prayer. 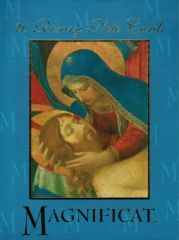 Consisting of both vocal prayer and meditation, the Rosary has the simplicity of a popular devotion while also possessing great theological depth. As a spoken prayer, the Rosary has its origins in the words of Scripture. The Rosary includes the perfect prayer that Our Lord taught to his Apostles, the Our Father. It also includes the Hail Mary, which brings together the Angelic Salutation found in Lk. 1:28 and the words of St. Elizabeth in Lk. 1:42. In addition, the Glory Be, an ancient Christian doxology, and a few other traditional elements (e.g., the Apostles’ Creed, and the Salve Regina) help to form the whole of the Rosary. 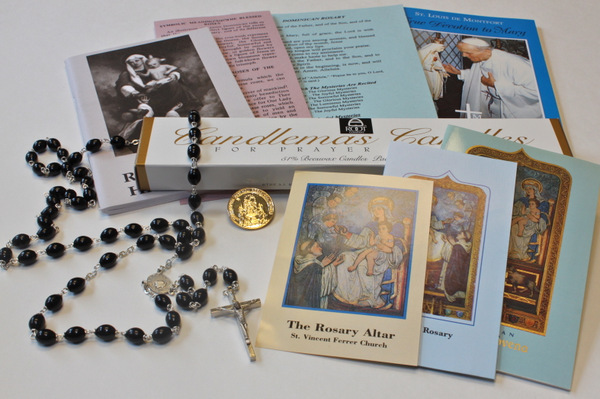 Although it may sound a bit complicated when described, the Rosary is organized in a very simple and intuitive way. 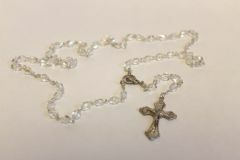 Traditionally, the Rosary is prayed using small and large beads (Rosary beads), arranged on a cord or chain in a circle with a cross at the end. Rosary beads are an almost universally recognizable symbol of devotion to Our Lady and to her Son, Jesus Christ. The Rosary brings together both vocal and mental prayer. Along with reciting the words of the Our Father and the Hail Mary, the Mysteries of Christ’s life form the basis of one’s meditation. Traditionally, the Rosary involves meditating on fifteen specific Mysteries from the life of Christ, drawn from the Gospels. More recently, Pope John Paul II proposed adding five additional mysteries, also drawn from the Gospels, for a total of twenty. 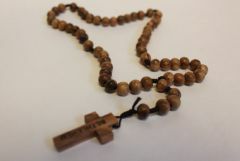 This website contains information on How to Pray the Rosary as well as how to join the Rosary Confraternity. 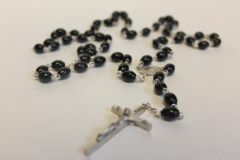 The Confraternity of the Most Holy Rosary is an international association of faithful Catholics who pray the Rosary each week for each other’s intentions. Please take a few moments to explore this website and to contact us with any questions you may have or to enroll in the Confraternity.